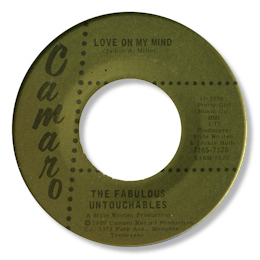 Even more obscure than the fine Fabulous Verbs 45 on Style Wooten’s Camaro label out of Memphis, comes this bluesy ballad. Although you might expect a soul group from the name this is a solo male performance, gruff as you would want and emotionally draining too. The guitarist behind him plays some good licks, and occasional horn blasts punctuate this heart broken tale.